Hello All! 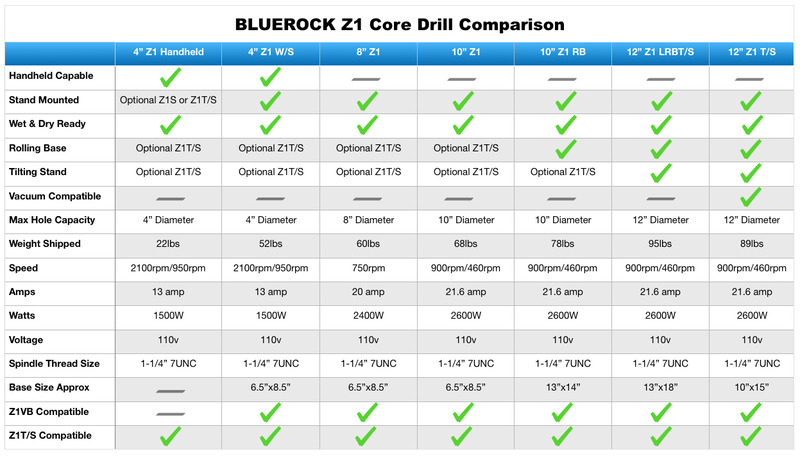 Check out a new comparison chart for our Z1 line of BLUEROCK ® concrete coring drills! Click on the table below to open this chart in a larger window. Let us know if you have any questions.